It’s happening. This Thursday, six brave mothers will take their concerns directly to the source: the McDonald’s shareholders’ meeting at Hamburger University — McDonald’s headquarters in Oak Brook, IL. These women will stand in front of the CEO of McDonald’s and urge him to stop marketing to children. Bettina Elias Siegel: Bettina is a former lawyer, freelance writer, mother, author of the critically acclaimed blog The Lunch Tray, and has been called one of the 15 most important moms in the food industry by Elizabeth Street. Leah Segedie: Leah is the founder of the Mamavation community, the current 9th most Influential Mommy Blogger by Cision Media, and one of the Top 10 Woman Changing School Nutrition, according to Smart Snacks in School. Migdalia Rivera: Migdalia is an associate campaign director at MomsRising.org, the founder of the award-winning blog Latina on a Mission, the owner of Stiletto Media, and the mother of two boys. Sally Kuzemchak: Sally is a mother, a registered dietician, a freelance nutrition writer, and the author of the well-read parenting blog, Real Mom Nutrition. Rosa Perea: Rosa is a health educator and Assistant Director of the Centro Comunitario Juan Diego in Chicago’s South Side. As a health educator and a mother, Rosa sees every day how McDonald’s floods her community with marketing that targets children. Casey Hinds: Casey is a public health advocate, former Air Force Pilot, mother of two daughters, and author of the blog KY Healthy Kids. I hope you can join us on twitter during the meeting on Thursday! Let me know if you have any questions. 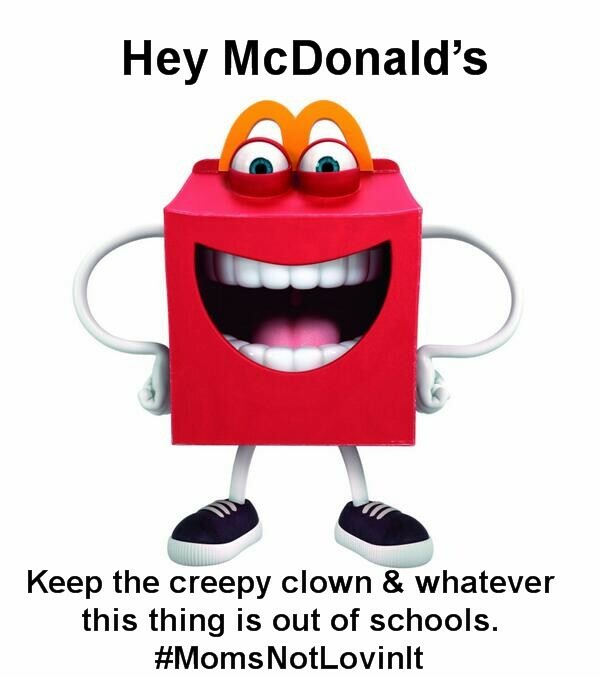 Tags: #MomsNotLovinIt, #RonaldMcDonald, Marketing to children. Bookmark the permalink. I’m so very proud of and grateful for your work, Casey. Thanks to all of these women for fighting the good fight. Go Casey! Thanks for speaking for the rest of us! Good luck to you all! Way to go ladies!!! Thank you for speaking out! !